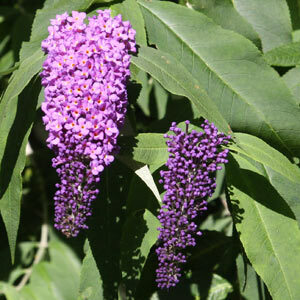 One of the best of the 'Butterfly Bushes' is Buddleia davidii, with wonderful purple long cone shaped flowers in summer this is a wonderful addition to the rear of the garden border. Growing well in full sun Buddleia davidii really is a butterfly magnet, and in a humus rich soil it is fairly essay to care for. These are a tall growing plant and can reach 3m + (9ft), however they are easily pruned back hard in early spring to the 3rd or 4th bud. This keeps them in shape and flowering profusely. Long flower heads and good mid to deep silvery green lanceolate foliage make a good display from mid spring through to the first frosts. 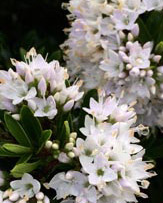 This is a plant that does live up to its name, it is great for attracting butterflies to the garden, along with bees, worthwhile for this aspect alone. One of the great things about horticulture is the development of dwarf varieties, and Buddleia davidii 'Blue Chip' is an addition to this collection. 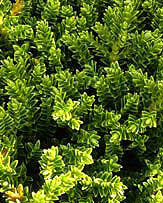 It will reach around 3ft in height and can be maintained at this with a little pruning. Adonis Blue is another dwarf cultivar. Once established little care is required, Buddleia davidii copes with poor soils and besides its annual pruning needs little else. This is a sun loving plant and in the UK appreciates as much sun as it can get. 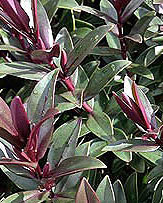 Young plants can be grown in containers and if get pruned will survive for a number of years. Prune back hard in spring in the colder regions and Buddleia davidii will reshoot to provide a mass of flowers in early summer. We could list all of them, however with around 150 named cultivars we have chosen a few of the best Buddleia davidii varieties. 'Black Night' with deep purple flowers. 'Royal Red' with a deep pinky red flower. 'Pink Delight' with appropriate pink flowers. 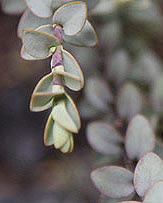 'Burncross' a dwarf cultivar with variegated foliage and pale violet flowers.